Complete information for NATA 2019 Application Form, Eligibility Criteria, Exam Pattern, Syllabus is available here. National Aptitude Test in Architecture 2019 applications are being accepted from 24th January, 2019. 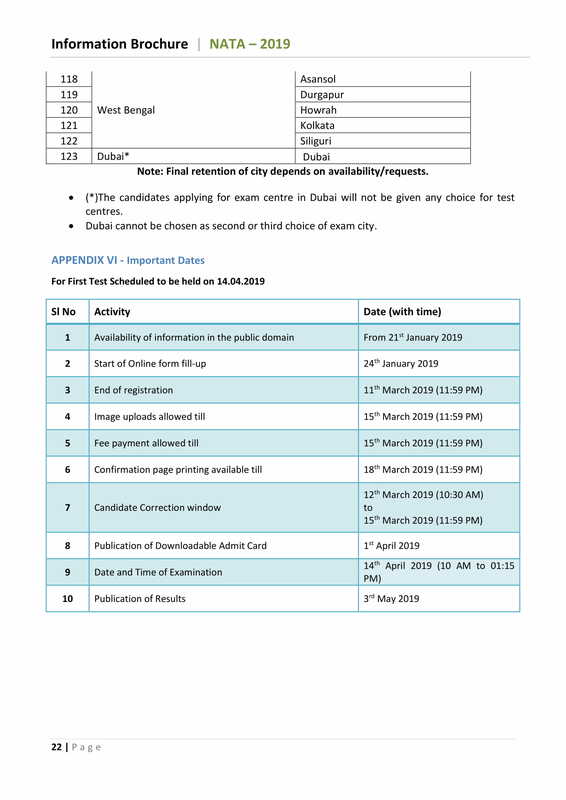 For further information on NATA 2019 Admit Card, Results, Allocation of Examination Centre, Filling up of Application Form, Important Dates, Contact Address, Phone Number, Email ID refer the below article. Who can apply to NATA?